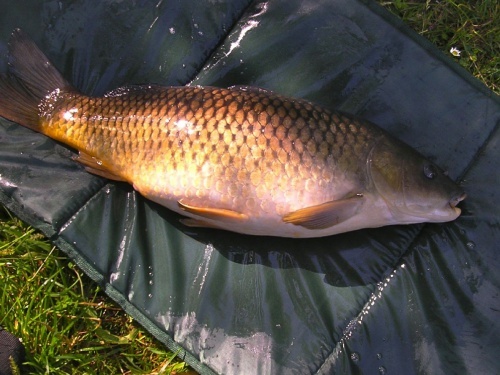 What we think of as Common Carp, King Carp or Wild Carp are descendants of a central Asian species that was probably introduced here by the Romans. 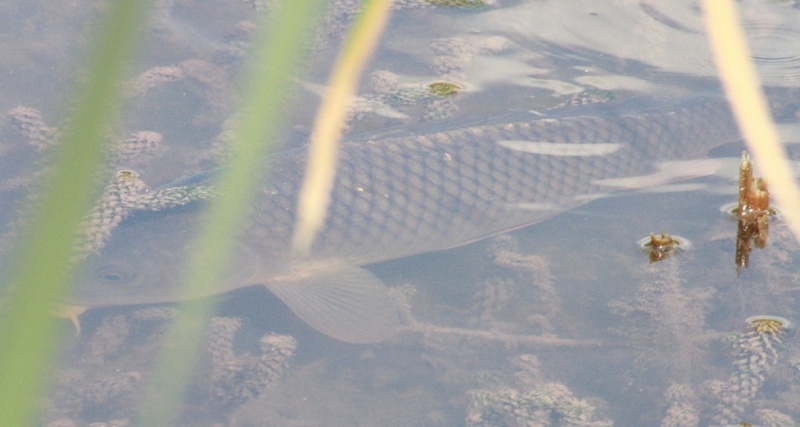 They have uniform scales all over their bodies and are greenish or orangey brown coloured above and yellowish below. 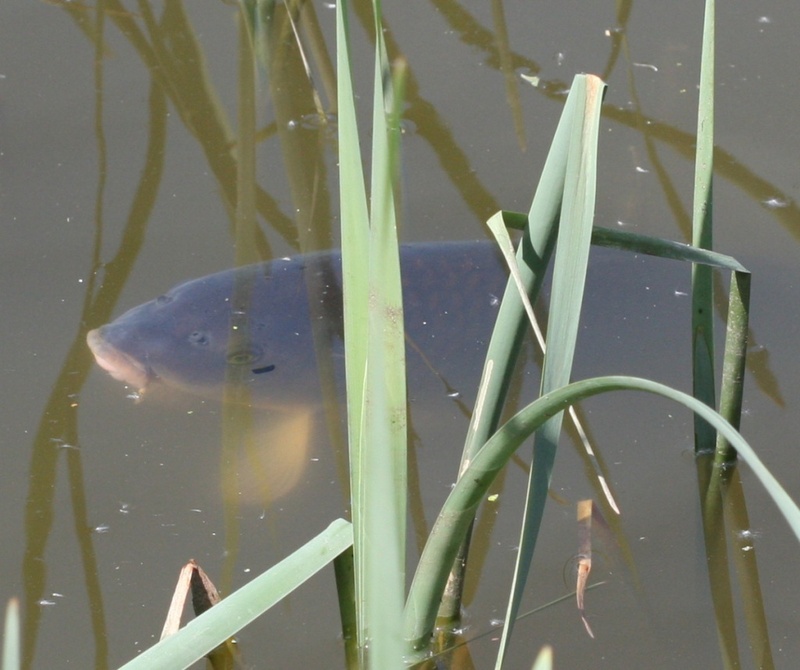 There are four barbels, one at each corner of the mouth and two shorter ones on the upper lip. Adults may grow to 58 cm long. 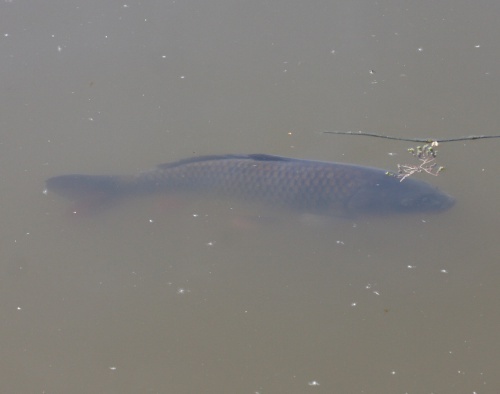 Although tolerant of most conditions, common carp prefer large bodies of slow or standing water and soft, vegetative sediments. All year round but most evident in the warmer summer months. 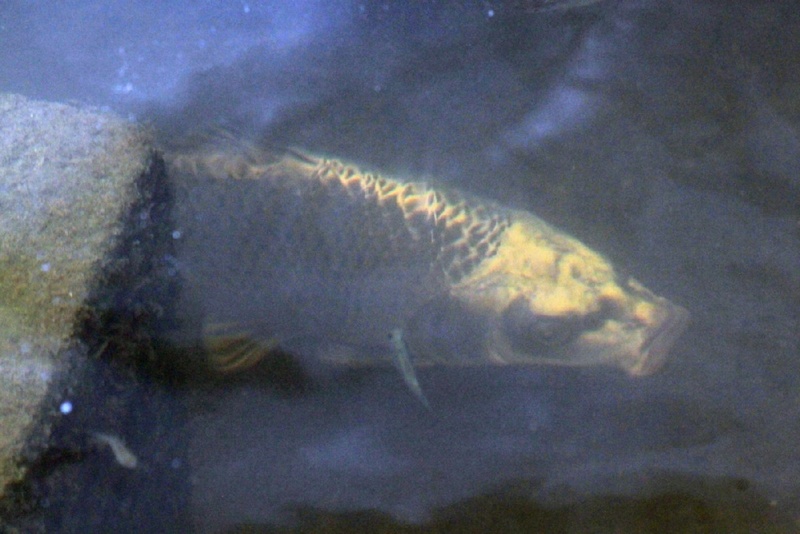 As schooling fish, they prefer to be in groups of five or more. Frequent and widespread in Britain, although most NBN records seem to come from the southern half of the country. Fairly frequent but under recorded in Leicestershire and Rutland. 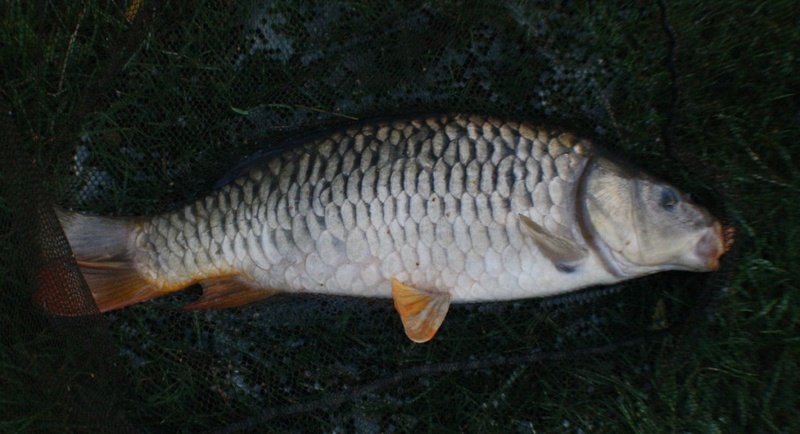 It has been noted in lakes at Wanlip Gravel Pits and Snibston Grange, also a few records from larger rivers (Soar, Welland) and the Ashby Canal.